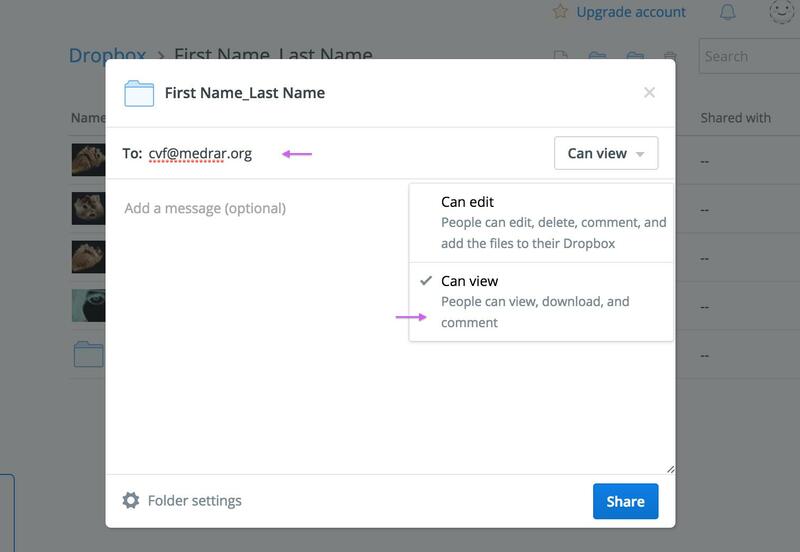 Step One: Open https://www.dropbox.com/ and sign in or sign up. 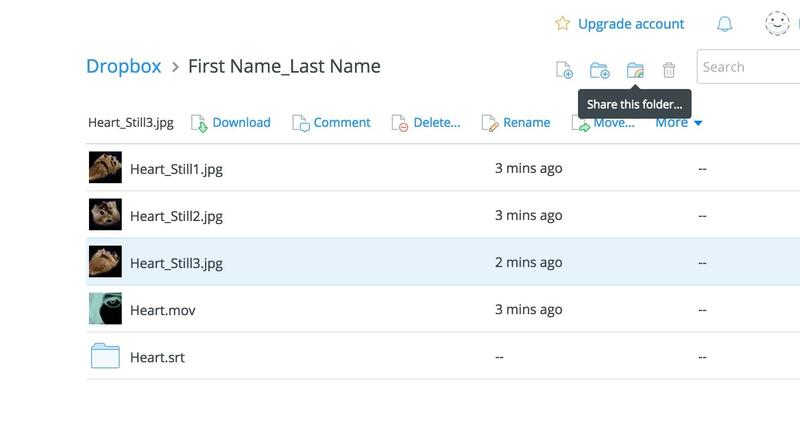 Step Two: On the top right corner, create a new folder for private files. The name of the folder must be First Name_Last Name of the artist/director. 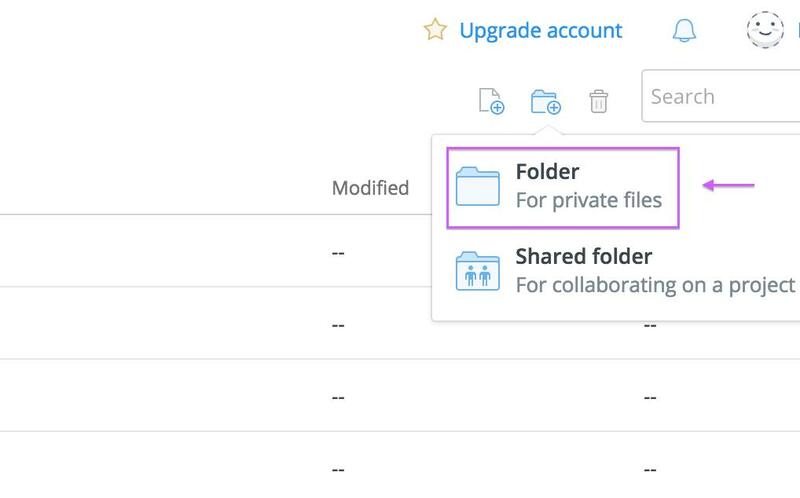 Step Three: Upload or drag all required files––either from your desktop or another folder––and drop it within your opened Dropbox folder. Step Four: After the upload is complete, click on the share button and type [email protected]. Choose “Can View” from the dropdown list. Step Five: Click on the share button and if a link hasn’t been created, click Create a link. If a link was already created, click Copy link. Step Six: Fill in the application form, and paste the link to the application form in the required field. class="post-template-default single single-post postid-1749 single-format-standard samba_theme samba_left_nav samba_left_align samba_responsive wpb-js-composer js-comp-ver-5.0 vc_responsive"